2019 KIA Sorento vs 2019 Chevy Traverse are both capable mid-sized, three-row SUVs. But which one of these top selling SUVs belongs in your driveway? To help you decide, we have put together a head-to-head comparison of both the 2019 KIA Sorento and the 2019 Chevy Traverse. In this comparison, we will look at the categories important to new SUV buyer. In the first part of this review, we will look at the standard features of the 2019 Sorento and the 2019 Traverse. Next, we will compare the fuel economy numbers. Finally, we will take a head-to-head look at the standard safety features. The 2019 KIA Sorento comes standard with the following features: A Matte Black Front Grille, Body-Color & Heated Outside Mirrors with LED Turn Signal Indicators, Privacy Glass, Variable Intermittent Windshield Wipers, Rear Wiper/Washer, Projector Beam Headlights, UVO play with a 7-inch Touch-Screen Display, Android Auto™, Apple CarPlay™, 6 Speakers, Bluetooth® Wireless Technology Hands-Free Connectivity, USB/Auxiliary Input Jack and a Trip Computer. The 2019 Chevy Traverse comes standard with the following features: High-Intensity Discharge (HID) headlamps, LED Daytime Running Lamps, Black-painted mirror caps, 18-inch all-season blackwall tires, 18-inch Bright Silver painted aluminum wheels, Chevrolet Infotainment System with 7-inch diagonal color touch-screen, Tri-zone automatic climate control, Interior humidity sensor and a Manual tilt and telescoping steering column. While both the 2019 KIA Sorento and the 2019 Chevy Traverse are both well equipped SUVs, the 2019 Sorento offers more interior and exterior features than the 2019 Traverse. 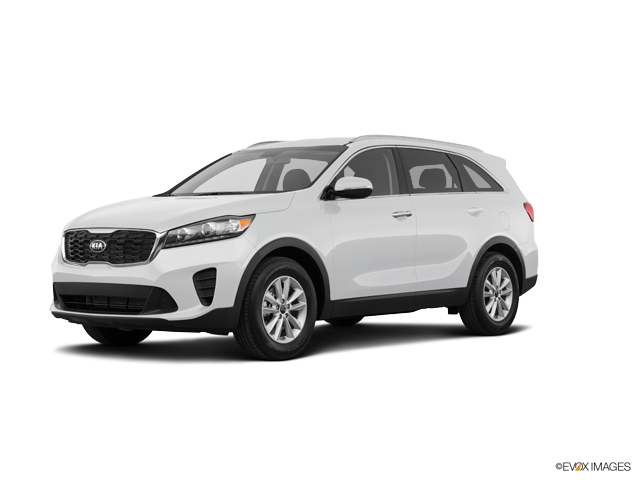 The 2019 KIA Sorento comes standard with a 2.4 liter DOHC 16-valve Inline-4 cylinder engine that offers up to 185 horsepower with a towing capacity of up to 5,000 pounds. Fuel economy is rated at 22 miles per gallon in the city and 29 miles per gallon on the highway. The 2019 Chevy Traverse comes standard with a 3.6L V6 engine that offers up to 310 horsepower with a towing capacity of up to 5,000 pounds. Fuel economy is rated at 20 miles per gallon in the city and 26 miles per gallon on the highway. Overall, the KIA Sorento offers better city and highway fuel efficiency than the 2019 Chevy Traverse. The 2019 KIA Sorento comes standard with the following safety features: Dual Front Advanced Airbags, Rollover Sensor, 3-Point Seat Belts for All Seating Positions, Anti-Lock Braking System (ABS), 4-Wheel Disc Brakes, Vehicle Stability Management (VSM), Electronic Stability Control (ESC), a Traction Control System (TCS), Electronic Brake-Force Distribution (EBD), Brake Assist System (BAS), Hill Start Assist Control (HAC) and a Tire-Pressure Monitoring System (TPMS). The Sorento also received a 5-Star rating from the National Highway Traffic Safety Administration (NHTSA) and a top safety pick from the Insurance Institute for Highway Safety (IIHS). 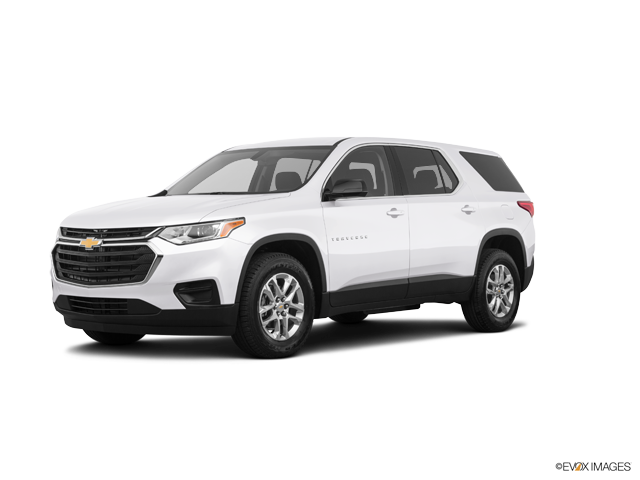 The 2019 Chevy Traverse offers the following standard safety features: Airbag system, LED Daytime Running Lamps, Passenger Sensing System, StabiliTrak, electronic stability control system with traction control, Tire Pressure Monitoring System and a Rear View Camera. Overall, the 2019 KIA Sorento offers more standard safety features than the 2019 Chevy Traverse. Additionally, the 2019 Sorento distinguishes itself with top safety ratings from both the NHTSA and the IIHS. Carriage KIA is proud to offer you a test drive of the 2019 KIA Sorento. Our sales team will be happy to show you how the 2019 KIA Sorento compares favorably against the 2019 Chevy Traverse. * “Starting at” price is manufacturer’s suggested retail price (MSRP) for lowest model trim. See “Build and Price” section for MSRP of model shown. MSRP excludes destination and handling charges, taxes, title, license, options, and dealer charges. Vehicles shown with optional equipment. Actual price set by dealer and may vary. The applicable destination and handling charge per model are provided in the “Build and Price” section. See dealer for details. Some features only available as part of packages. See “Features & Specifications” and “Options” pages for details. Kia Motors reserves the right to make changes at any time as to vehicle availability, destination, and handling fees, colors, materials, specifications, features, accessories, packages, and models. Not responsible for typographical or computer errors. 2016 and 2017 Soul EV starting MSRP is for the EV-e trim which will be a limited production model sold initially only in CA. ** Based on EPA estimates. Actual mileage will vary with options, driving conditions, driving habits and your vehicle’s condition.